Fireworks. Jellyfish. Galaxies. Lightning. Opal’s shifting play of kaleidoscopic colors is unlike any other gem. 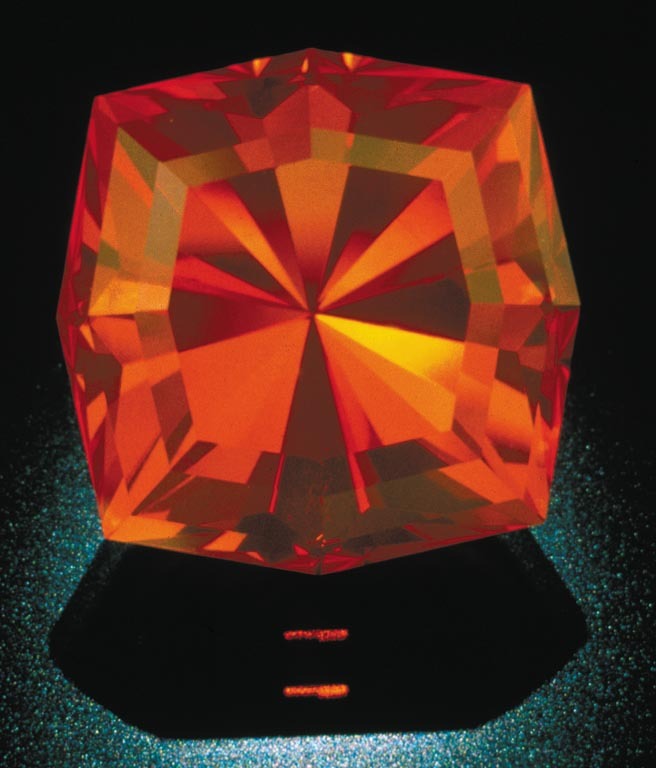 Most opals are cut as cabochons; this one from Ethiopia weighs 20.86 ct. 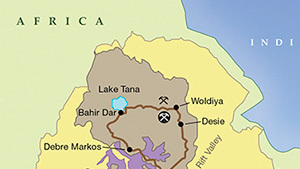 The play-of-color displays the entire spectrum over a light gray background. Bright flashes of color skip across this stone’s surface. Opal forms as irregular nodules or seams in volcanic or sedimentary rocks. Play-of-color results when light interacts with orderly stacks of spheres. 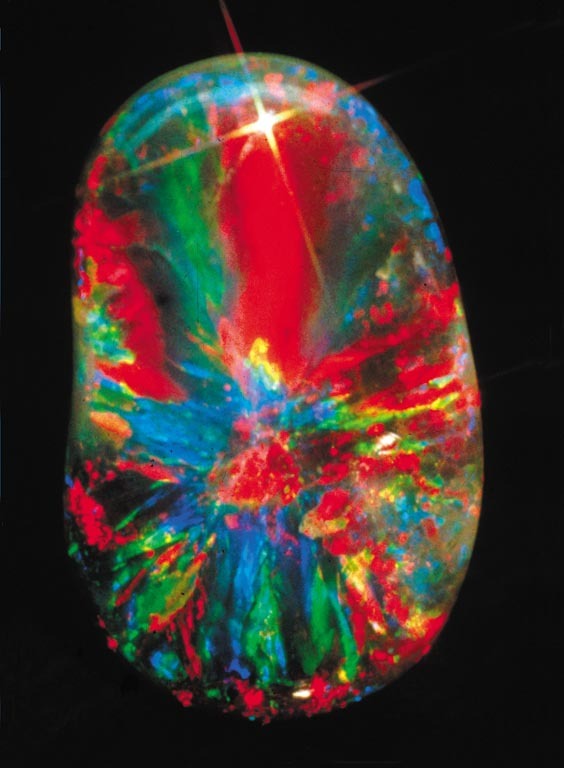 This opal nodule displays the promise of intense play-of-color. Because opal has the colors of other gems, the Romans thought it was the most precious and powerful of all. 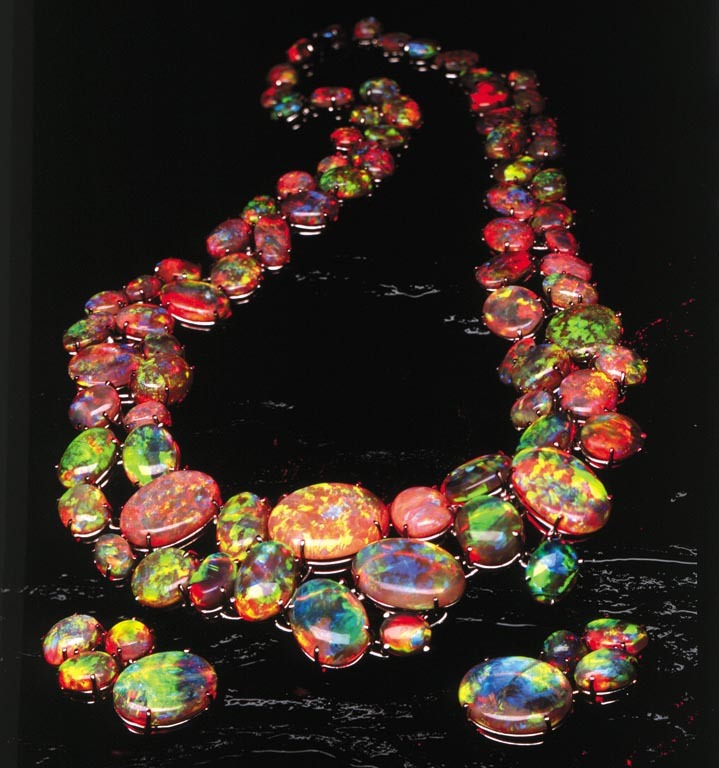 The Bedouins believed that opals contained lightning and fell from the sky during thunderstorms. When Australia’s mines began to produce opals commercially in the 1890s, it quickly became the world’s primary source for this October birthstone. Opal is an October birthstone. Grids of silica spheres 0.2 microns in size create red play-of-color flashes. Opal contains up to 20% water trapped in its silica structure. The novel “Anne of Geierstein” gave opal a reputation of being unlucky. When opal formed, silica gel filled crevices in rock. As water evaporates, the silica is deposited in the form of tiny spheres. 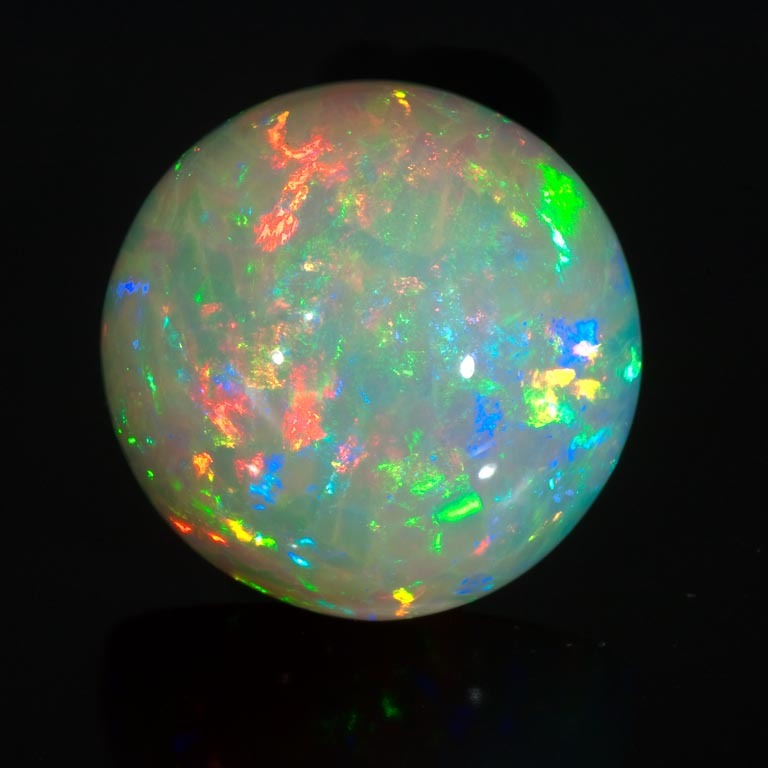 Opal’s flashing play-of-color is caused by diffraction of light by silica spheres stacked like tiny Ping-Pong balls in a box. 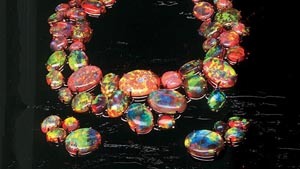 Opal’s arrays of silica spheres form a fantastic variety of patterns and colors. No two opals are exactly alike. Play-of-color, intensity, and pattern are important value factors. 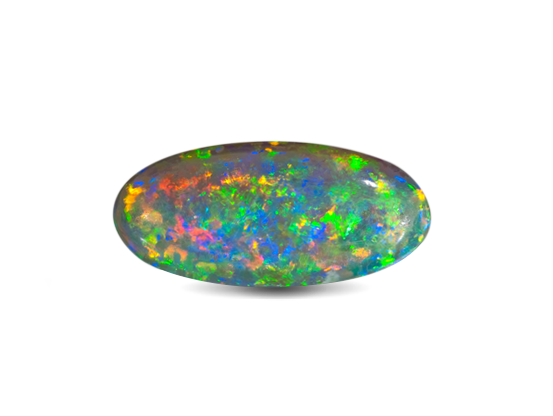 Opal’s spectacular play-of-color can display all the colors of the rainbow. 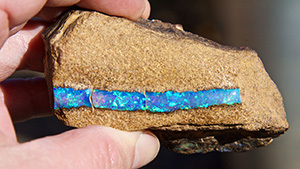 Experts expect different levels of clarity for different types of opals. 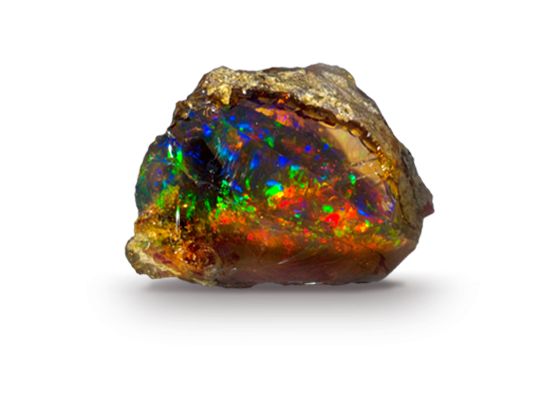 Fine opals are often cut into irregular shapes that keep as much play-of-color as possible. Opal has relatively low density so even larger sizes can be comfortable to wear.